Nigeria’s neighbour to its north, French-speaking Niger, is the latest country to pledge its army will fight the radical Islamic group, Boko Haram. Boko Haram’s military and strategic advance has already provoked the postponement of Nigeria’s Presidential election, due to have been held this Saturday, 14 February. The election is now planned for 28 March. On 9 February Niger’s Parliament voted to join Chad, Cameroon and Benin in a regional force to try and stop the insurgency from spreading further across the regions bordering north-east Nigeria. The region of Diffa, near Lake Chad in south-eastern Niger, has become a new battle ground for the radical insurgents. On Friday, 6 February, militants launched their first action to target Niger territory: twin attacks against the towns of Bosso and Diffa. It was repulsed by the Niger army. But the radical group intensified its incursions in the region, with five attacks in less than a week. On Wednesday, 11 February, an attempted suicide attack was foiled in Diffa. According to AFP quoting a military source, a female suicide bomber was shot before she could detonate her device. 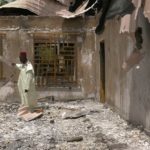 The Niger government has declared a 15-day state of emergency which started at midnight Tuesday 10 February, in an attempt to curb this upsurge of attacks. The measure grants broad powers to the army, allowing them to search homes and ban the circulation of motorbikes, which are often used by Islamists to launch attacks. According to local sources the army has been carrying out search operations aimed at flushing out the jihadists who have infiltrated the city of Diffa. But these operations were not enough to reassure people. 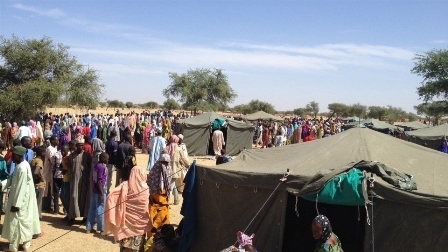 Traumatized by the recent incursions and fearful of new attacks, thousands have fled the region, especially towards Zinder, 450 kilometres west of Diffa, though still close to the Nigerian border. 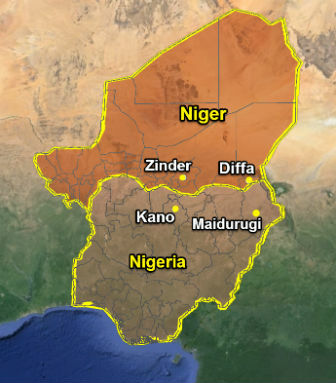 Located at the extreme east of Niger, the Diffa region belongs to the Lake Chad Basin and shares borders with Chad to the east, and Nigeria to the south. Pastor Nehemiah Garba is one of the displaced people. 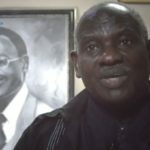 He told World Watch Monitor that Diffa has lost many of its residents. ”Hundreds, even thousands of people have left in cars and trucks. It’s truly a matter of survival of the fittest. “Almost everything is closed: schools, administration and even the hospital is affected as the medical staff have gone,” he added. ”I have seen patients who have undergone operations attempt to leave the hospital, but unfortunately there are no [medical staff] to help them. 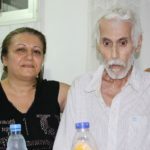 These patients are in despair”. 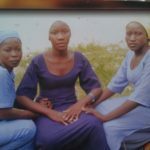 For Garba, who lived in Diffa for twenty one years, the decision to leave was ”truly painful”. Leading a convoy of three vehicles, Garba evacuated a hundred people, mostly women and children. Several NGOs, including the UNHCR and WFP, have evacuated their staff and suspended operations. This is a serious blow to the region, one of the poorest in Niger. Located at the extreme east of Niger, more than 1300 km from its capital, Niamey, the Diffa region belongs to the Lake Chad Basin and shares borders with Chad to the east, and Nigeria to the south. The Komadugu Yobe River forms the natural border between Niger and Nigeria, and facilitates the mobility of the population, including militants. Nearly 150,000 people fleeing clashes between militants and the Nigerian army have already found refuge in Niger since May 2013. Such internal displacement adds “a new humanitarian problem” to “an already complex situation,” warned Benoit Moreno, a UNHCR spokesman in Niger. Boko Haram’s attacks come at a difficult time for Niger’s minority Christians who are mainly found in southern Niger, along the Nigerian border. 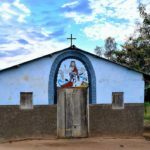 In mid-January, Christians in Niamey and towns such as Zinder had their churches and homes destroyed as Muslims targeted them in response to the Charlie Hebdo cartoon of Islam’s prophet, Muhammad. All but one church in Zinder was destroyed.